I got this recipe from a lady with the screen name Octomom, I think, from the Practical Homeschooling AOL boards. If I remember correctly, she was a homeschooling mom with 8 children. She made life simple for herself by have a menu rotation of breakfast meals that she could put in the oven and bake while she was getting her morning routine done and get her gang fed easily. This is one of the nine or so recipes she said she rotated through. 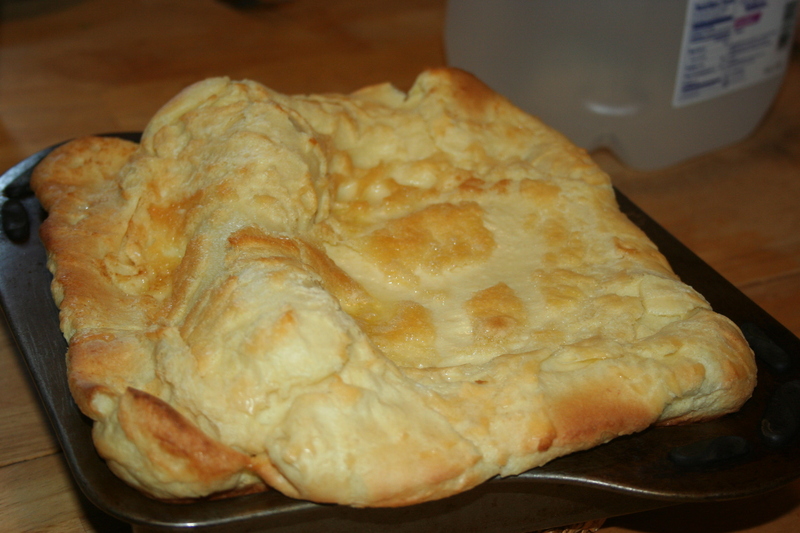 The recipe she shared was double what I’m sharing here today and baked in a 9×13 casserole dish. While Brian was still at home I fixed it that way but now I fix only half her recipe and bake it in an 8×8 casserole dish. 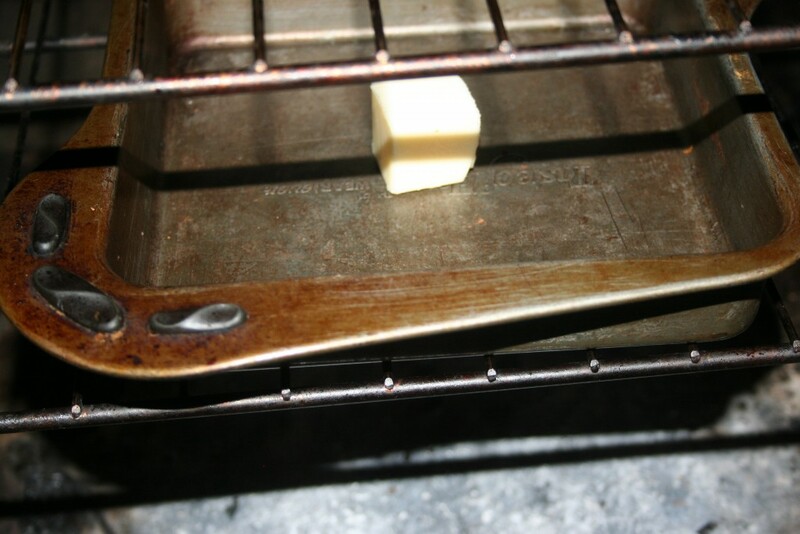 Put two tablespoons butter in an 8×8 pan in the oven as it preheats to 400º. Keep an eye on that melting but because you don’t want it to burn! 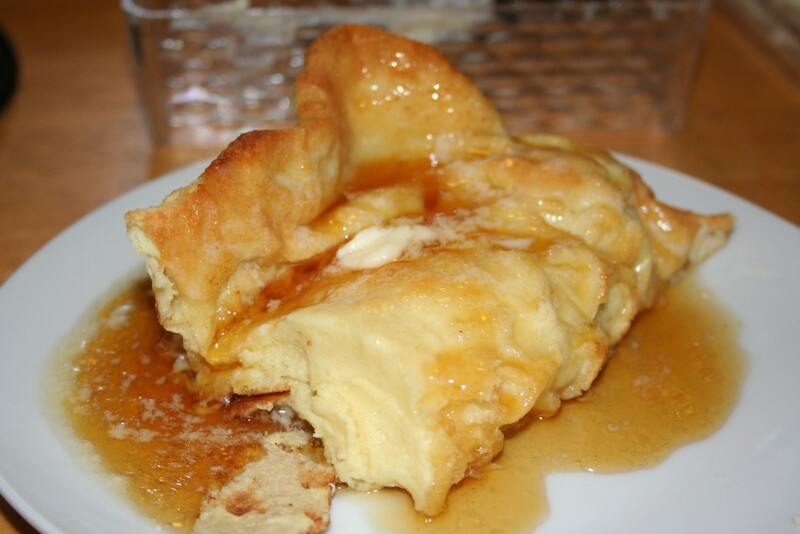 Remove it from the oven when melted and pour the batter in the pan. Place in the oven and bake for 30 minutes or until medium brown or golden brown. It gets all puffy but deflates quickly as you cut it. I like to add butter to mine, like French toast. Then add the syrup; we use 100% maple syrup. 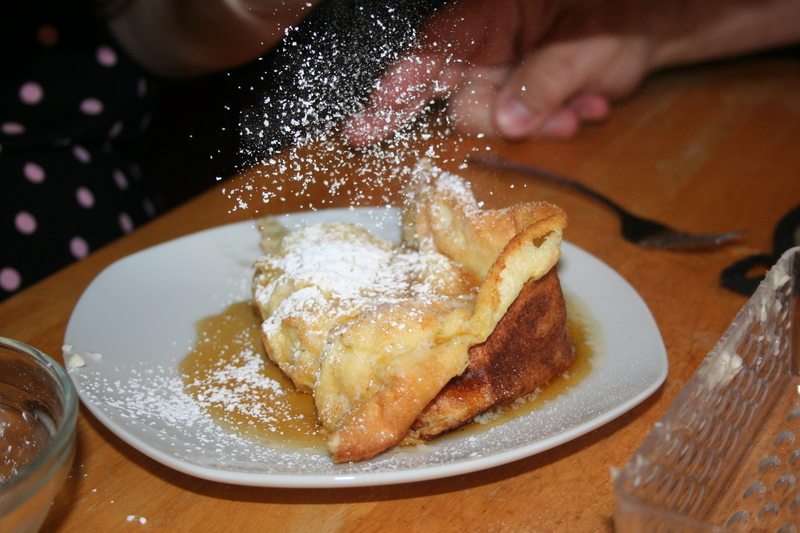 Then sprinkle on powdered sugar. We use a small strainer and let each person shake it on their slice. 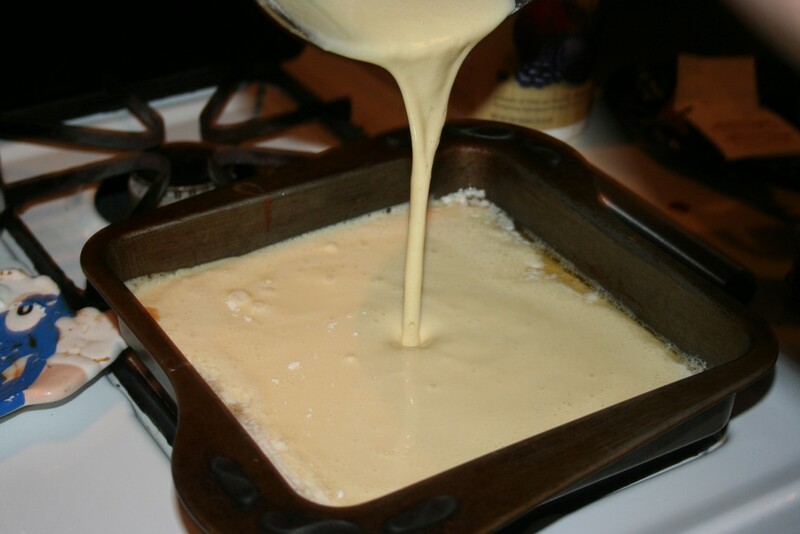 Melt butter in an 8x8 pan in oven. 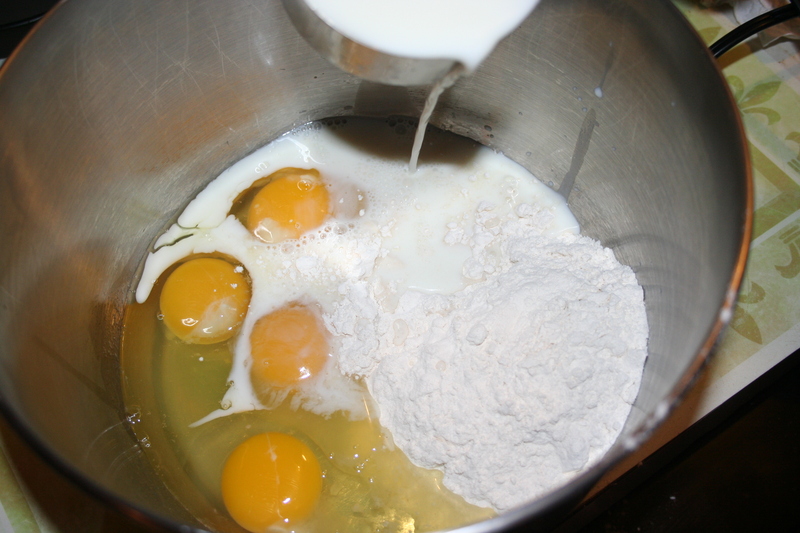 Mix flour, milk and eggs in blender. Bake 30 minutes or until medium (golden) brown. 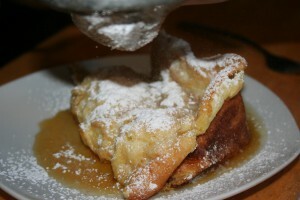 Serve with butter (if desired), syrup, and/or powdered sugar. If you want any of the syrup to stay on top of your dutch boys slice, put it on before the powdered sugar otherwise the powdered sugar seems to repel it.